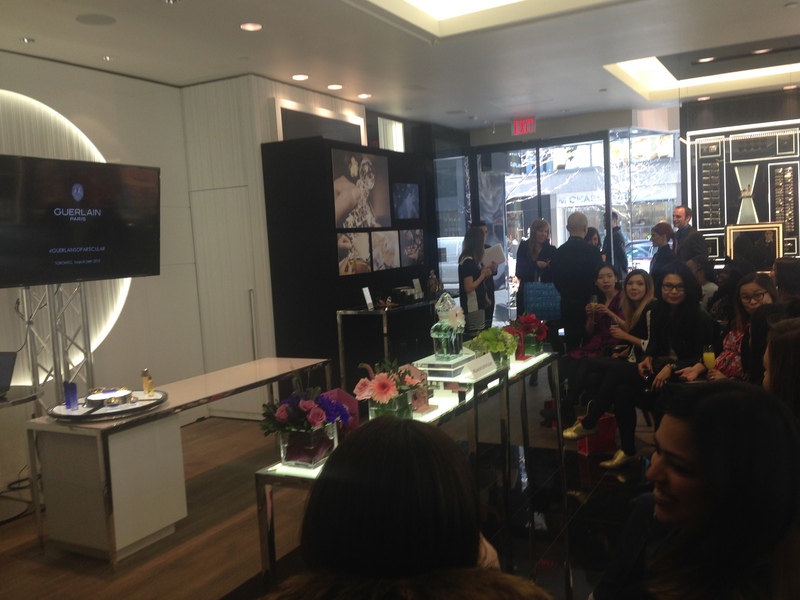 On Tuesday I was lucky enough to get invited to the Guerlain shop in Yorkville in Toronto for a blogger event. Up until then I had actually never set into the store so of course I jumped at the chance to go. Can I just take a moment to say that the store is like stepping out of Toronto and walking right into a shop in Paris! Everything is so beautiful and so artistically laid out – I honestly could just spend hours in the store taking in the atmosphere. The purpose of the event was to inform us about the brand, some changes in distribution and to give us some workshops on how things are made, and how the ingredients are chosen. If you get a chance to look at the bottles note that they are HAND painted and HAND sealed! 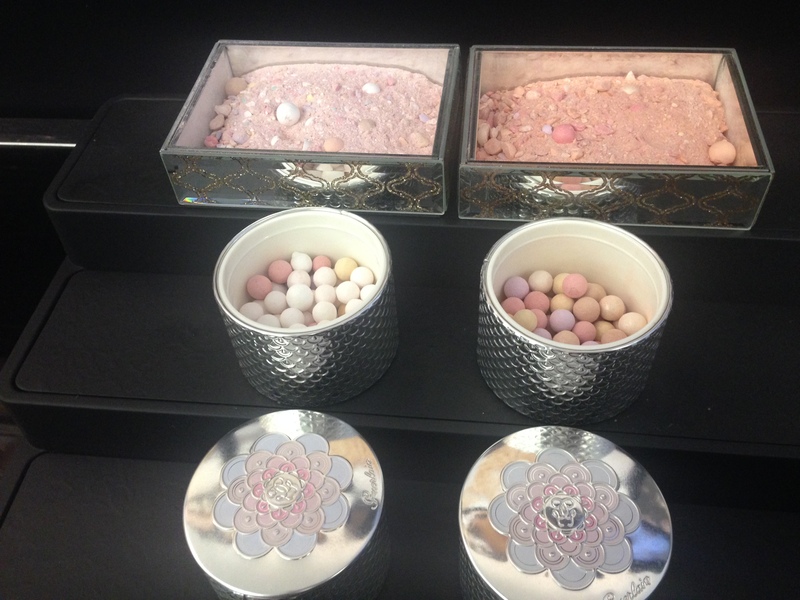 Guerlain spares no expense at making sure ever single detail is perfect. They also chose the best of ingredients. What I was happy to learn was that they are focused on sustainability- they helped save black bees and white china orchids and look to local producers to keep those economies going. I never knew this brand had such a heart and such an impact around the world. Yes this is a very high end brand – but now knowing what goes into each and every product I can understand the price they charge. 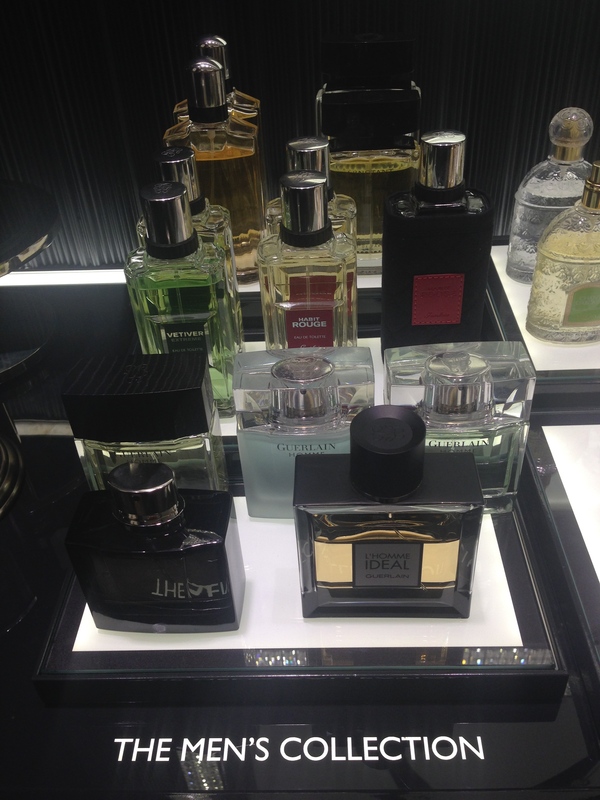 I was very happy to spend the time learning about Guerlian and looking at their amazing products – and smelling their awesome perfumes. Next time you are out and about and pass by a Guerlain shop do yourself a huge solid and step in and look around and say hi. The beauty of their products are worth taking 10min to look at – even if you don’t purchase something that day. That sounds so fun! I have such a soft spot for Shalimar.